In 2019, electro-acoustic trio PERLONEX celebrate their 20-year stage anniversary with a series of live collaborations for which they invite a guest musicians each night. 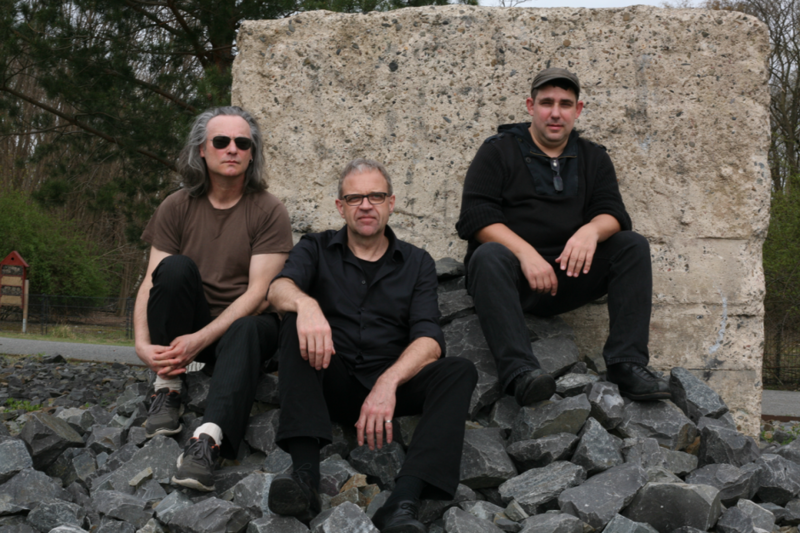 For tonight’s opening of the series at ausland, Dean Roberts joins the trio. Perlonex was formed in late 1998 and has since 1999 performed, recorded and toured extensively through numerous countries . Over the years, Perlonex have created a unique blend of different styles – settling somewhere in the no man’s land between electro-acoustic improv, industrial noise, ambient, minimal and often even incorporate elements of psychedelic music. On their extensive tours they have performed in an extreme range of different settings; from academic contemporary music festivals via improv and electronica venues to rough underground and punk/noise clubs. They were frequently invited to prominent festivals all over Europe and have also performed in Australia, Canada, Malaysia, New Zealand, Russia & the US. In Autumn 2004 Perlonex invited two guests, Keith Rowe & Charlemagne Palestine, to join the trio for each one set at the Berlin Podewil. The event was labeled perlonex.tensions and the entire concert was released as a 2CD on the Ukrainian imprint Nexsound. Especially the meeting with Charlemagne Palestine turned into a very special and magic event, both as a musical and personal exchange. So since then every once in a while Perlonex teams up with Palestine and he has become a frequent guest to the group. Meanwhile there were more than a dozen of Perlonex & Palestine events in cities like Geneve, Paris, Bouronne, Vienna, Graz, Bologna, Berlin, Krems, Metz, Victoriaville, … Thus the resulting music has become increasingly intense.